I’ve been meaning to make these for a while. 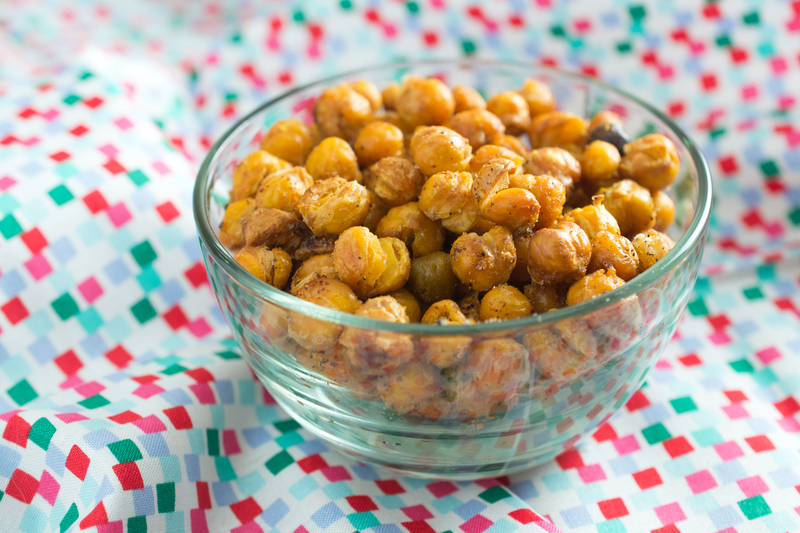 I had a can of chickpeas sitting around in a drawer so I popped these in the oven for an evening snack. They were SO addicting and tasty and easy to make. I especially loved the ones that got all the way crispy. These have a great crunch and flavor to them and you can experiment with all different kinds of spices to put on them. Drain the can of garbanzo beans in a strainer and rinse with water for a few seconds to clean off the beans. Shake and tap the strainer to rid of excess water. Lay paper towl on a baking sheet, and spread the beans over. Use another paper towel to gently press and absorb the water on the beans. Roll the beans around with the paper towel to also remove the thin skin from any of the beans. Discard the skins and the paper towels. Drizzle the olive oil over the beans and use your hands or a spatula to toss around and coat. Sprinkle with seasoned salt (I used creole seasoning). Roast for 30-40 minutes until the beans are a deep golden brown and crunchy. Make sure that the beans do not burn.